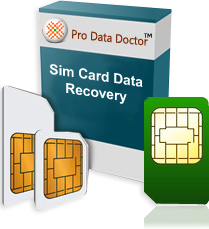 Sim card data recovery software easily recovers all deleted text messages and stored contact numbers from your 3G/GSM mobile phone sim card. Software easily retrieves your lost or deleted SMS (Short Message Service) and contacts from sim card. 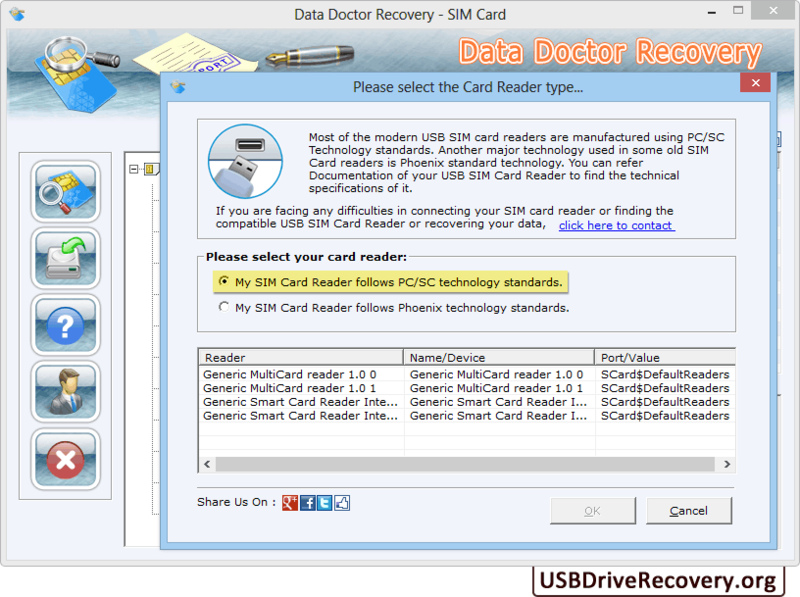 Sim Card recovery software support SIM service of any network provider that enables your card reader (any Phoenix type USB Sim card reader or PC/SC Standards based sim card Reader) to scientifically examine SIM card and recovers your deleted information. Software read lost contact number along with the contact name. Support SIM card of any network service provider. Recovers Phonebook numbers, Contact names, Sender Number with Date, Time, Location and other details of your mobile phone sim cards. First, you have to select your Sim card reader. Please remember that you need USB SIM Card reader (any PC/SC Standards or Phoenix Standards based Reader) to use our software to recover data from simcard. If you are not able to find any compatible SIM card reader, Please feel free to contact us to get the information of manufacturers, who can make it available to you in very short time.